Before you start your YouTube marketing, you should read statistics and then make the decision to video marketing. The most report about YouTube and online video are mind-blowing. The Americans streamed around 15 billion videos in the most recently recorded month. The Internet video viewing was up 35%, the traditional TV viewing rose a bit only 0.2% over last year and mobile video viewing went up 20%. In this post, you will learn how to maximize your YouTube marketing results. Most of us don’t own a sneezing baby panda or a piano-playing cat to create a viral video with millions of views, but those aren’t required for success. You need to produce videos that address your viewers’ needs. Your main goal should be to create contents that are valuable, helpful and compelling to your own clients. The video content may include how-to answers to FAQ, Interviews, tutorials, slide shows and so on. Once you produce video content, it should be findable within and outside of YouTube. The first page of search engines contains videos, therefore your competition is to be top of the search results page. As you know The Google owns YouTube and this is a fact that you can’t ignore it. Use the first few words of your title as your targeted keywords. Add a colon after your initial keywords and reword your title as another tactic for raise the effect. 2) Write fully about your video content in your description field on YouTube Upload page. This will allow you to get found more easily by audience searching YouTube for your type of video. More URLs throughout your content is also great work. In the tags field, put any and all related keywords. You still have the opportunity to create a branded experience on YouTube even without spending the big bucks for a brand channel or becoming a YouTube partner. Like other social media platform, once your profile appears the more branded, therefore the more credibility you appear to have. A default design makes you appear fly-by-night. The Player View is a feature of one big video which can be set to autoplay unlike the Grid View. We recommend making sure your featured video is set to autoplay because total views can positively impact your visibility. Feature your best content in the right column and Create Playlists. Playlists is a way of organizing videos on YouTube. Maybe you know that you can create playlists of any video maybe you made it or not for your channel. You can create the playlist of your most popular videos or some videos which best represent your products and offerings. Build subscribers by using annotations. By adding annotations to your YouTube videos which can include clickable calls to action you can build subscribers. These features appear on top of your videos for a specified length of time. It can include links to other videos, channels or playlists or include a subscribe option. For example, if you have created an out-of-date information video. Instead of deleting the video, you can create a new video then go back to the original video and place a link that takes people to the updated, corrected version. By posting a bulletin alert your friends and subscribers. The Post Bulletin tab is at the top of your channel. Create a bulletin and a link to a video content which will shown on your subscribers’ home pages. How to Rank Videos on YouTube Marketing? This is a good tactic to draw extra attention and traffic to your video content. The “last frontier” of online advertising is a label that Julie Perry, the social media director at BLASTmedia, called YouTube Ads. As her report, people come to this video platform and in search queries enter what they look for, therefore you can offer on keywords just as you would Google pay-per-click. But unlike the Google ads which a text ad coming up on the right-hand side, you watch a video and a thumbnail of a video. Compared to what you pay for a Google text ad or even a Facebook ad, the best part is that you can offer on keywords for pennies on the dollar on YouTube. YouTube is not an island, but a social media platform. You should create a blog post around your video content, every time you post a new video. On your title use more keywords, and fill your post with an appropriate content. This method will bring your video to your blog subscribers, therefore improve its chances of being found in a search. Making it easier for other people to share your content by adding your own sharing buttons on your blog. You can gain much wider viewers on Facebook, the video content is a great tactic of increasing your EdgeRank. Great content goes more distant on Twitter. As a powerful referrer, this social bookmarking site help for driving the most U.S. web traffic for social media sites. YouTube analytics tool has some powerful features that gives you an insight into who watch your contents and how they discover them. According to an individual video or on all the videos you’ve uploaded you can gather information about that/them. If you want to understand what type of content resonates most with your target audience, reviewing your most-watched videos or the videos with the most community feedback can be your solution. You will get to know that there are many YouTube users who have thousands of subscribers If you search YouTube carefully. You can begin making market research to know about those YouTube channels whose target audiences might be interested enough in your product or service and once you get to know with them, just try to partner with them. Ask them to speak about your channel in their videos and offer them freebies in return. 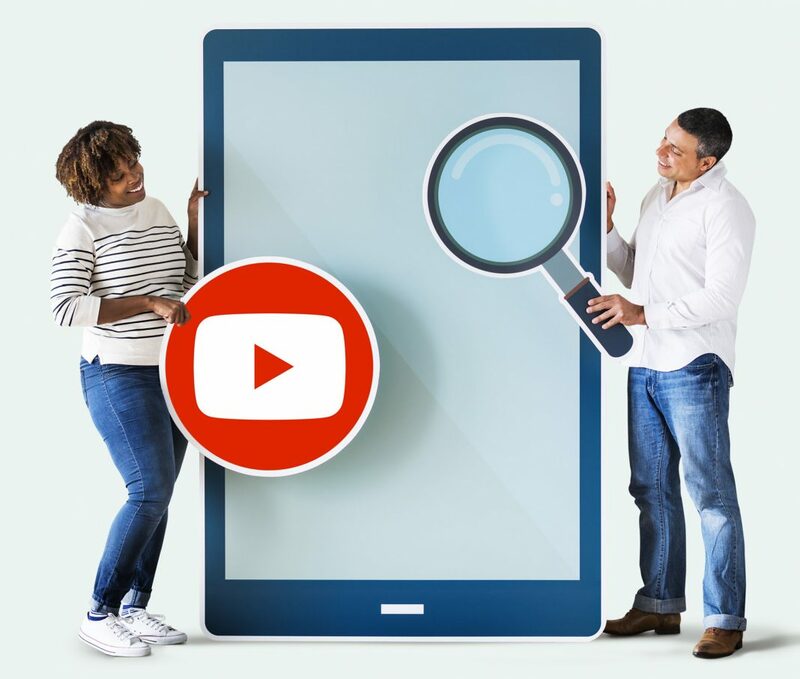 These features worked great since May 2017 when YouTube discontinued the use of in-video annotations on desktop devices because they allowed publishers to provide additional queues for viewers via text, banners or images embedded directly in videos. According to YouTube’s product managers, cards and screens generate seven times more clicks than annotations, and the process of creating them is 10 times faster. The video watch time is the most important video ranking factor. Watch time means your audience have found enough value in your video contents to remain on the page. The best method to keep users engage is to create long videos that strategically disperse valuable information throughout the time of the entire video. Videos that hit the 10-minute mark are often able to achieve significantly higher watch time than, compared to stuff with lots of information into a short video or those that don’t cover a topic thoroughly enough to retain their viewers. The average length of page one YouTube video contents is around 14 minutes 50 seconds. The thing that you need to know about this page on YouTube is that the first 48 characters show up in the YouTube search results. This section is necessary for site visitors to find out who you are but also for YouTube to be able to serve the best piece of content.